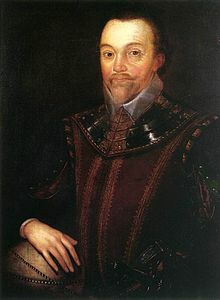 Sir Francis Drake, Vice Admiral (c.1540 – 28 January 1596) was an English privateer, navigator, naval pioneer and raider, politician, and civil engineer, of the Elizabethan period. I must have the gentleman to haul and draw with the mariner, and the mariner with the gentleman. For by the life of God, it doth even take my wits from me to think on it. Here is such controversy between the sailors and gentlemen, and such stomaching between the gentlemen and sailors, it doth make me mad to hear it. But, my masters, I must have it left. For I must have the gentleman to haul and draw with the mariner, and the mariner with the gentleman. What! let us show ourselves to be of a company and let us not give occasion to the enemy to rejoice at our decay and overthrow. I would know him that would refuse to set his hand to a rope, but I know there is not any such here . . .
Coming up unto them, there has passed some cannon shot between some of our fleet and some of them, and so far as we perceive they are determined to sell their lives with blows. … This letter honorable good Lord, is sent in haste. The fleet of Spaniards is somewhat above a hundred sails, many great ships; but truly, I think not half of them men-of-war. Haste. Reputedly while playing Bowls at Plymouth Hoe, upon being informed that the Spanish Armada had been sighted approaching England. (29 July [O.S. 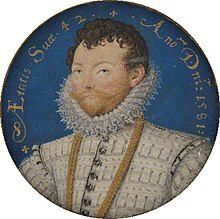 19 July] 1588); This attribution is not known to have appeared in writing until 1736, so its authenticity remains uncertain. Variant: There's time to finish the game and beat the Spaniards too. This page was last edited on 16 March 2019, at 14:00.